If you haven’t already heard, or seen on Facebook, big changes are in the future for Studio MB! After much thought and consideration, the decision has been finalized. Studio MB is expanding and moving to a new location! 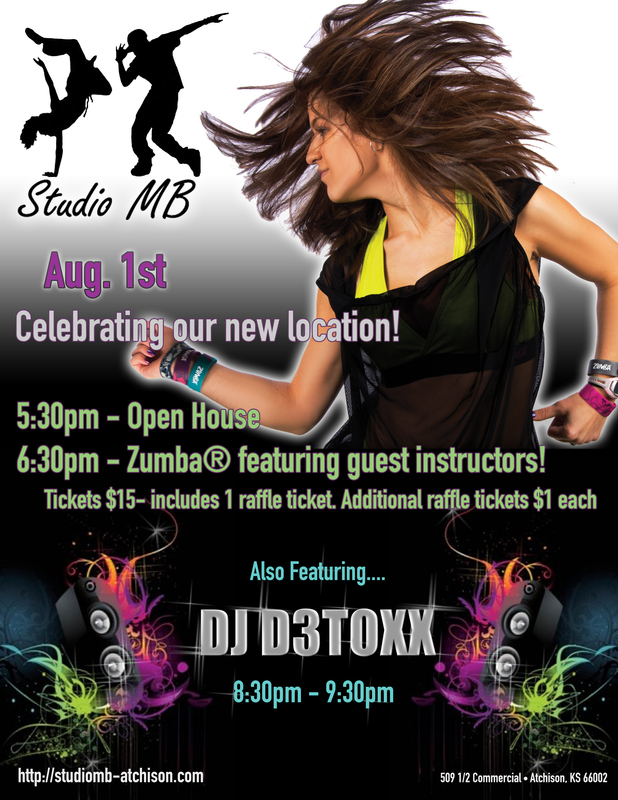 August 1st, 2014 at 5:30pm, we’ll open the doors to a new beginning and enhanced dance-fitness experience! So what’s the scoop behind it? Let me tell you, the decision wasn’t easy. As an instructor and inspirational leader, I’m constantly coaxing people out of there comfort zones to expand their happiness (and health). “Just outside your comfort zone is where the magic begins.” Yet here I was, growing evermore comfortable in our current location, afraid to make a move. I didn’t feel ready when the opportunity came knocking. Truth is, I was scared. Yes, the queen of making people uncomfortable just so they can loosen up and smile, was scared. New responsibilities, challenges, and more work. It looked like a no. Why change if I’m happy with the way thing are currently? I thought about my purpose. I thought about my students, and all the people I’ve been able to meet and connect with. I thought about everything that I stand for, and my message. Sure, I also crunched some numbers and considered other factors. Everything checked out, and sounded great, but was I really ready for this? Am I qualified to expand? All of the work, the big changes.. I wasn’t sure. I finally decided to seriously consider this thing. What kind of person am I inspiring others to live by high standards if I don’t live by those same standards, in all aspects of my life, not just exercise? Sure, it sounded good. It seemed cool. The question was, is it the right thing to do for my business? #1. My clients. I remembered that this business isn’t about me, its about the people I serve every class, at every event, and every week. Their comfort and experience is worth more than gold at Studio MB. These changes enhance both, in many ways. #2. “No matter what, no matter how, always move forward and strive to be better.” Not everything comes as expected. However, we shouldn’t pass up wonderful opportunities because they don’t come when we want them. To be honest, I needed this challenge to remember that I, too, need to step out of my comfort zone and always strive to be more. We shouldn’t get too comfortable with our current situation when there are so many more ways we can bless others. Why settle for less? Get ready for our big open house party on Friday, August 1st! The doors open at 5:30pm. Browse around, check out the raffle prizes. Zumba® starts at 6:30, and features some amazing out of town instructors! That’s two hours of adrenaline-pumping, sweat-dripping excitement you won’t want to miss. That’s not all. Stick around from 8:30-9:30pm and show off your free-style moves! DJ D3toxx will be mixing those beats. You may even hear a few throw back songs, so yes, there’s something for everyone. Let loose and join the party! Tickets are $15. Bring a friend and get $5 off your ticket price. All tickets include 1 raffle ticket, but don’t worry, you can purchase more to increase your chances at $1 each. I can’t wait to see you there!! Stay up to date with event information on Facebook at New Location Open House Party!! !